A gauge of signed contracts to purchase previously-owned U.S. homes increased in February for the first time in three months, highlighting uneven progress in the industry, according to data released March 28 from the National Association of Realtors in Washington. • Index rose 3.1% month over month (estimated 2% gain) after a downwardly revised 5% decrease. • Gauge fell 4.4% year over year on an unadjusted basis after 1.9% decline. While the month-over-month gain shows demand for housing is still getting support from steady hiring, the market is facing several headwinds. Buyers are up against a persistent shortage of affordable listings to choose from, property prices continue to climb, and mortgage costs are rising. What’s more, the Realtors group expects winter weather to weigh on demand in the Northeast. The NAR currently projects 2018 home sales will match 2017’s 5.51 million. The group expects the median selling price of a previously owned home to increase around 4.2% this year after 5.8% in 2017. “The expanding economy and healthy job market are generating sizeable homebuyer demand, but the miniscule number of listings on the market and its adverse effect on affordability are squeezing buyers and suppressing overall activity,” Lawrence Yun, NAR’s chief economist, said in a statement. “Homeowners are already staying in their homes at an all-time high before selling and any situation where they remain put even longer only exacerbates the nation’s inventory crunch,” he said. The NAR’s 2017 Profile of Home Buyers and Sellers showed the median tenure a homeowner stayed in their house before selling was 10 years, the highest in records back to 1981. • Purchases rose in all four regions last month, including a 10.3% jump in the Northeast and a 3% gain in the South. • Economists consider pending sales a leading indicator because they track contract signings. 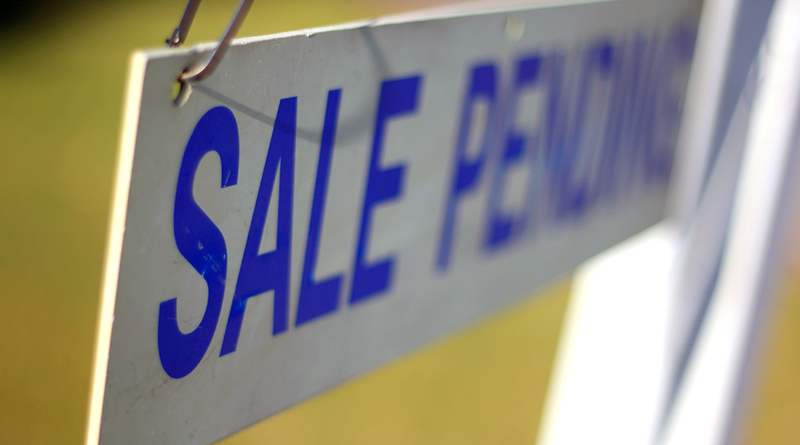 Purchases of existing homes are tabulated when a deal closes, typically a month or two later.